I have been trying to get some cooking done before I head off to work, I decided I want to bake a loaf a bread on mondays, no more store bought bread full of chemicals! With rapid rise yeast it only takes about 2 hours to get 2 loaves made! You mix, knead, rise 30 minutes, divide to 2 loaf pans, rise 30 minutes, bake 40 minutes, and you are done!! 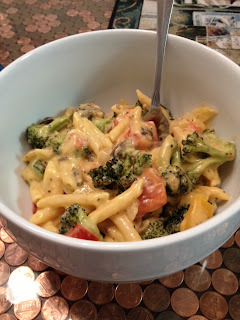 I also got some veggies roasted and made Roasted Veggie Mac & Cheese for dinner last night! AND....I made my own Pico De Gallo! Love this on my Vegetarian Tacos! Whew! That was my cooking adventures for this week! I will try to make something new and exciting next week!! 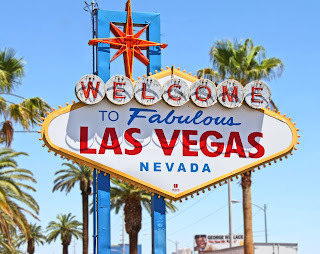 Living La Vida Las Vegas! 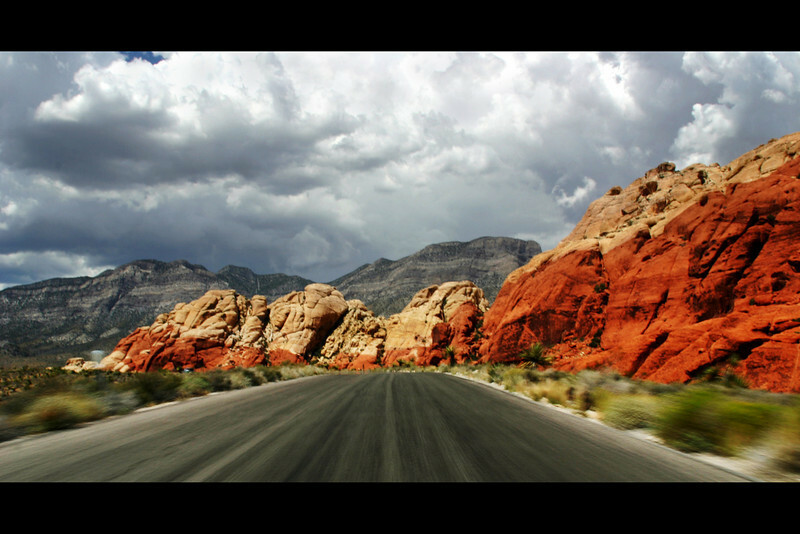 People often wonder if we live in casinos, or if we are all gambling addicts and alcoholics. No, not all of us. Some people should not live here, that is true. if you can't control the demons inside you, this place could be bad, bad, news. We met a man whose wife had spent every dime they had gambling, he tried to use the ATM to get money, did not work, went in the bank and found out he had nothing left it was all gone and the credit cards were maxed out! He threw her out and had to sell all his/her belongings to start over, we bought my hubbies work car from him over 5 years ago, that helped him out a lot. I think he is doing fine now. But I am sure he will never leave the woman in charge of money and if he does remarry, he will make sure she does not have a "problem". So how do you live here? What do you do??? We live in a suburb and we own our own collision estimating business. 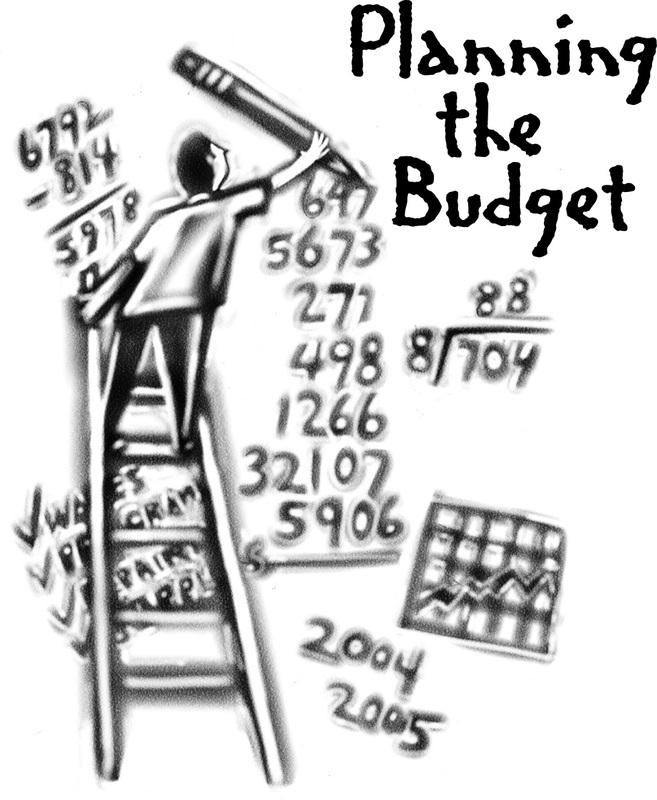 And, just like living anywhere, you have a budget so you know how much you can spend on bills and entertainment. Our entertainment happens on Sunday or Friday, we like to play some keno, hang out shoot pool, and play the jukebox, we like our little bar, we know everyone and they know us, kinda like Cheers! 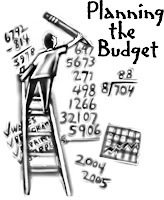 But you have to stick to your budget, if your budget is tight that month, you just go to dinner and a movie or you stay home watching reruns of Reba, because Van and Barbara Jean make you laugh out loud, a lot! 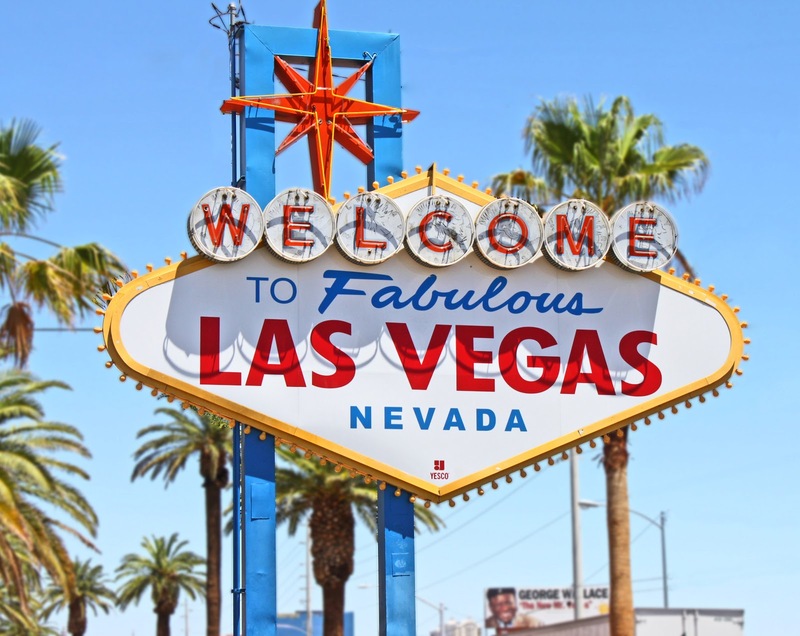 You can make adjustments, there are many free things to do in this city, we have the whole strip where you can spend the day walking around looking at all the sites, my favorite thing to do! I can wander around the big hotels all day if you let me! Just stop for a snack and drink plenty of water, oh, and wear comfortable shoes! 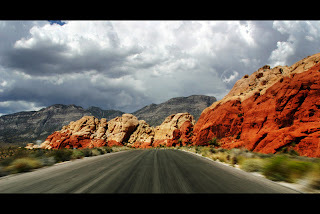 We have Lake Mead/Hoover Dam practically in our backyard, or we have Red Rock canyon where you can hike and picnic, boating all day in summer on Lake Mead and skiing Mount Charleston all winter! It is an amazing place to live and I wouldn't trade it for anything! You know I love baseball and I have been an Anaheim Angel fan from way back when we lived there and could almost walk to the stadium....we saw lots of games. 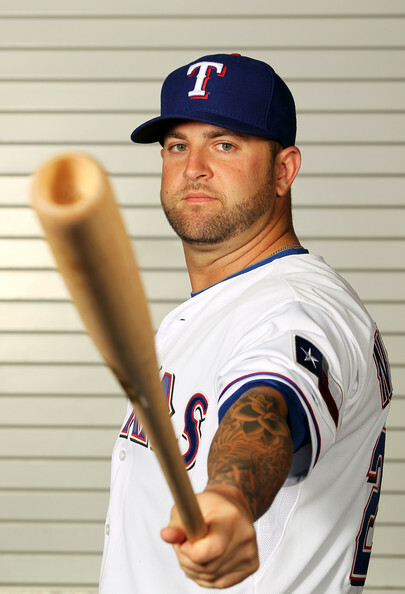 That's where I fell in love with Mike Napoli, as a player that is, he is a powerhouse, catcher, batter, 1st baseman, he is great at any position! Plays the game at 200%! Oh and he has tattoos!! It was so cool that I was 44 years old when I wore my Napoli jersey #44!! When he moved to the Texas Rangers, hubby took me there to see him play, I was the only person there with a Texas Ranger Napoli jersey on!! He wore #25 in Texas, so did I! Then we found out he would be playing for Boston come the 2013 season, I thought "oh boy, I always wanted to go to Boston" I was very excited to be a Boston Red Sox fan! I ordered my Napoli Jersey, #12 this time! 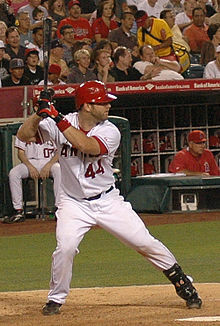 I will get to see him play July 6th in California against Anaheim angels as a Boston red fan!! We may not be able to go to Boston to see him, we will have to wait and see if we can afford a trip like that this year, being self employed is kinda tough to plan trips that are far away. My brother in law, Jeff is from Boston and the people are so nice and I hear the place is just wonderful to visit, and you gotta love a Boston accent!! My heart goes out to the people of Boston, I hope you find peace and comfort soon, and soon I will be with you in spirit to watch our beloved Boston Reds play Ball!!! 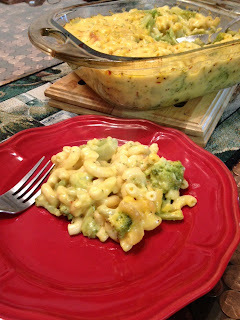 The Fabulous Flexible Mac and Cheese dish! Broccoli version, get your veggies in! 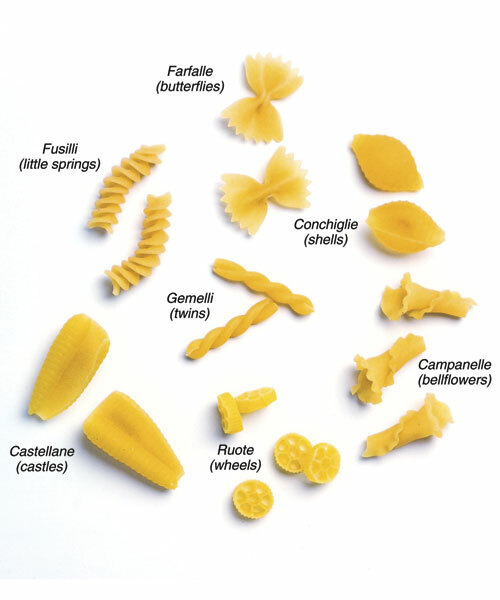 I like to use Bowtie (farfelle) or Wheels (ruote) for my mac and cheese or the good old Elbows! Ground pepper and red pepper flakes if you like some kick! No extra salt as we are using canned soup and we know that has tons of sodium! Boil a big pot of water, add the pasta, at this time you can throw in a bag of frozen broccoli or fresh chopped, yes, right in with the pasta! They will boil together in 10 minutes. stir and simmer until thick and creamy. After 10 minutes drain pasta/veggies, stir in the sauce, pour into casserole dish - at this time you could just eat it now, just get it nice and hot in the pan and then serve, or you can bake until bubbly and just starting to brown the edges, about 30 minutes. Let set up about 10 minutes then serve, Delish! This is flexible because you can add all kinds of things to this dish, I have sauteed roasted red peppers and added, I have added spinach, you can add just about anything you like, it always taste rich and creamy! We need to figure out how to live on this one planet and all get along, damn it! First on my list to talk about is Mac and Cheese, mmmmm! My friend Colleen Myler gave me a recipe to teach me to make homemade mac and cheese, well, once I made it homemade, you can never go back to the blue and yellow box! Trust me on this one! I will share the recipe with you this week! 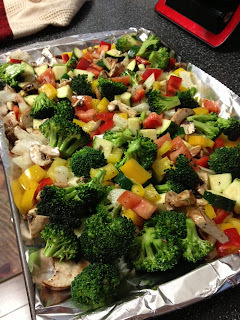 Today I added broccoli, great way to get your helping of veggies! And pasta is a great breakfast food when you stayed up late drinking wine and beer with your friends and laughing ourselves into tears, Thanks go out to Chuck and Donna for having us over and feeding my hungry hubby last night! Dinner on us next time! 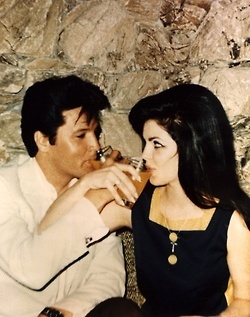 I came across this photo of Elvis and Priscilla the other day, I had never seen this one, I have a picture of them on their wedding day up in my craft room that I adore, I think of them as my fairytale come true couple, I know they loved each other so much, but fame and fortune and women got in the way, but I still believe in love that never dies. 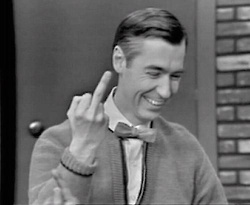 Oh and I could not resist this photo....Mister Rogers! That is not how you count to one!! I love this and it will be framed and hanging in my craft room as well! He reminds me of myself, everyone thinks he is kind and sweet and good, but he had his moments when he could get down and dirty with the best of them! 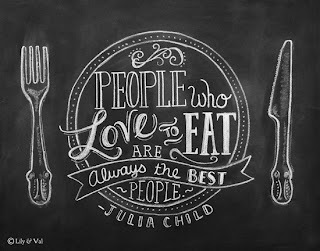 I need to draw this on my kitchen chalkboard door! 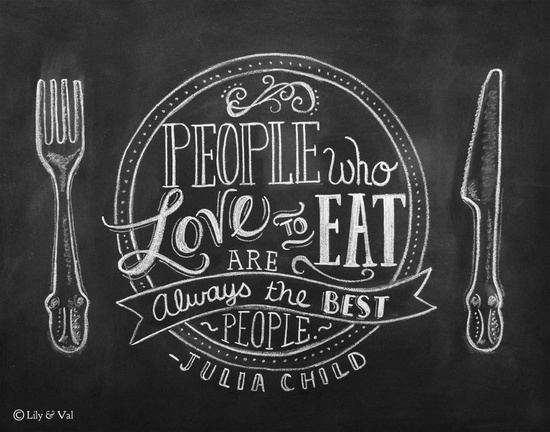 This is so true, I love to hang out with people who love food and love to eat and try new foods! So there you are, my Saturday ramblings, hope you enjoyed them! 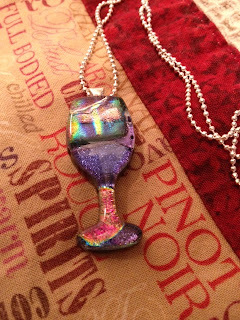 Hey, sorry I have not been on the blog...I am busy getting some necklaces ready to go in the Etsy shop, I will now carry the dichroic wine glasses and I need to get photos and descriptions ready, I will post saturday, I should have them all ready to sell then! Someone is enjoying the new couch a little too much! Sammy, he is a power napper, and my hero! I finally cleaned up my blog side bar, I added some new blog friends to my "blogs to check out" list, there are some really funny and talented ladies out there, so go check them out! Garlic, throw an unpeeled clove in dirt and it grows, who knew?? and Mrs. Basil is having babies like crazy! First I have to say "spoiler alert" to Rebecca and Christy, my daughter in law and my sister, who are vegan/vegetarians....ignore this next post, please! I have been really good about not eating meat like I use to, yes, I could chow down on a 16 oz prime rib dinner and not even bat an eyelash, but that was in my younger days. I could eat a ribeye steak in minutes flat, cows would shudder in my presence! But like I said, that was long ago....I have not had beef in....well, I am not sure...I try to order only vegetarian when we go out to eat and I may cook hamburger for the hubby but I don't eat it....so I am not really sure....I have a little pork now and then, a BLT sandwich at the cafe...but for the most part I only eat chicken and veggies. The one thing I cannot give up is chicken, now that I finally mastered the cooking of it, I must say chicken is fabulous!!! Yeah, I finally learn to cook and my family turns vegan/vegetarian on me!! UGH!! I could so dazzle them with my chicken dishes! I had to work late today, my boss is such a tyrant, but I still sleep with him for the fringe benefits.....hahahaha, ( I better add this: for those who don't know I work for my husband of 24 years, it's all good!) he was going to stay late and work on the race car stuff, so I was on my own for dinner. Anyway, got home and threw my comfort food in the oven and after 1 hour 30 minutes, The one meal I would request if I got thrown in prison and got the death penalty and was going to die that night.....yes, this would be my last meal: MY ROAST CHICKEN AND FRENCH BREAD WITH WINE! Oh, and if I got stuck on a deserted island and could only have one food, this would be it too!!! So I thought maybe, I should share this, it is that damn good! The title of this post is "say hello to my little friend" so here is my little friend, the pampered chef deep dish baker, I only use it for my roast chicken. period. The chicken comes out to die for, which said chicken did die for, but I thank the chicken gods each time I eat this, it is that damn good. 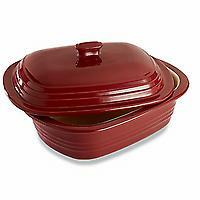 OK, here we go, you need the deep dish baker from pampered chef, sorry, that is the only dish I can cook this in. period. Contact the nearest consultant you can find and while you are at it, get their garlic press, it is the best press in the whole wide world for garlic!! you need olive oil and spices and 1 lemon and about 5 garlic cloves. the spices are: garlic powder, onion powder, celery salt, lemon pepper, kosher salt, fresh ground pepper. Peel the garlic cloves and slice the lemon into about 4 big slices, shove into the chicken, then rub chicken with olive oil all over and cover in the spices. Really sprinkle on the spices, heavy, heavy, the more the merrier!! 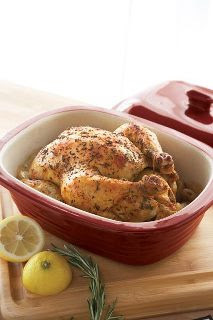 Cover chicken with baker lid, and put into 400 degree oven for 1 hour. After 1 hour, take lid off and cook 30 more minutes. After that set it out and cover with lid while you cook side dishes and bread, I normally just have the chicken and bread. So I throw the loaf of albertsons french bread in the oven and wait 10 minutes, then I slice off some chicken and butter a slice of bread, pour some of the juice onto my plate and eat the chicken all the while sopping up the juice with a slice of bread and drinking some Riesling or Pinot Grigio wine! The baker dish is usually half full with the juices of the chicken and the spices and the lemon and garlic, it is sooooo good. I hope you enjoy this recipe. Chicken, Bread and Wine, it just does not get any better than that! "Bon Appetite"